I've had a few people say to me recently "If you have debt, just walk away; the banks won't do anything. My friend stopped paying, and nothing happened to him. Don't bother with credit counselling, or a consumer proposal, just walk away". Does that strategy actually work? I've had a few people say to me recently "If you have debt, just walk away; the banks won't do anything. My friend stopped paying, and nothing happened to him. Don't bother with credit counselling, or a consumer proposal, just walk away." Does that strategy actually work? In some cases the "do nothing" strategy, or walking away, is a viable option. If you owe money to a bank, they want to be repaid. If you don't pay them, they will follow a standard sequence of events to collect their money. The first month you miss a payment they will include a "friendly reminder" at the bottom of your statement, saying something like "this is just a friendly reminder to make your payment; if you already made your payment, please disregard this notice." By the second month, the note on your statement will be less friendly: "We will suspend your account if you don't pay." 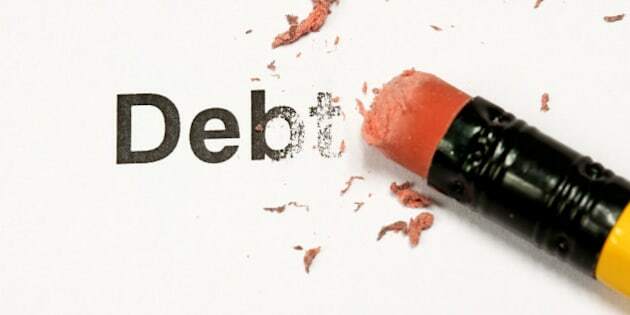 So the answer to the question "can I just walk away from my debts?" is "yes", but only if you are not worried about the repercussions of walking away. If you have no assets to seize, no wages to garnishee, and you are not concerned about a low credit score, walking away is a viable option. Here's my advice: if you have debts, attempt to work out payment arrangements directly with your creditors. They may give you a break on the interest rate or stretch out your payments to allow you to pay them in full. If you can't make a deal with them, and if you have more debt than you can repay, don't wait until legal action starts. A licensed insolvency trustee will provide you with a free initial consultation to review all of your options, and they can tell you if walking away is a good option. If you are 80 years old, and your only income is CPP and OAS, and your only debt is an old cellphone bill from five years ago, walking away is probably your best option. If you are working and can't pay, a consumer proposal or bankruptcy may be a better option than ignoring the problem and hoping that the problem goes away.